Emergencies are one thing that never comes at a convenient time, they always occur when you are busy or otherwise previously engaged. Most people assume that when a dental emergency occurs, this warrants a trip to the nearest emergency room. However, this isn’t necessarily the best option. There are a variety of qualified Newport News emergency dentists available at a moment’s notice, you just need to know where to look. That’s when we come in handy. Our detailed list provides you with many different emergency dentists in the Newport News area. Instead of having to call around to find out who is open or accepts walk-ins during an emergency, you can simply use our referral service to save time and get the treatment you need quickly. Known as the Virginia Peninsula, Newport News, Virginia is home to a host of various emergency dentists. Walk-in clinics allow you to be seen without having an appointment. These are great for those who are experiencing an emergency or those who require a more flexible schedule in terms of getting dental treatment. After hours clinics are your typical dentist offices with one big difference, they offer services well beyond normal operating hours. This allows for easier access to emergency treatment and procedures that you wouldn’t be able to get one at your dental office. Some places are open well into the evenings, which also creates better opportunities for those who need later hours due to work during the day time. When you find yourself in need of treatment, having these options for a Newport News emergency dentist can be greatly beneficial. Don’t be unprepared when an emergency strikes. Instead of scrambling around trying to figure out where to go for treatment, know ahead of time with our referral service and emergency Newport News dentist listings. DescriptionThis very scenic city where many ships call home is a wonderful place to tour and visit. If you are here and get struck down with immediate dental pain, one call to our convenient hotline will have you quickly sitting in the seat of a professional that cares deeply about your physical well-being. Address: 11747 Jefferson Avenue, Suite 5C Newport News, VA 236061. Comprehensive examinations, emergency procedures such as extractions, and x rays to diagnose your problem are all available here from competent and greatly experienced Dr Allen. Available for same day service and to quickly administer help to an aching tooth, you can have nitrous oxide here as an option to calm you, and assure you some sedation during procedures. Dr Allen is a native of Tidewater and got his degree at the MCV Medical College of Virginia. Serving the community with a very gentle touch and being known for top notch care is his main mantra in the dental realm, and he has been happily providing first rate service here since 1977. If you’re looking for small town dentistry, look no further. Good Neighbor Dental offers a comforting environment to make you feel right at home. Same day appointments are offered just for emergencies every day. From broken teeth to trauma from an accident, they are equipped to handle emergencies in a timely and professional manner. You don’t have to feel guilty for any issues with your teeth here, they pardon all teeth and don’t ask questions as to why this occurred. Instead of making you feel uncomfortable about the condition of your smile, they make you feel right where you belong. While a dentist open on Saturday in Newport News, VA is a pretty important place to know about, be assured that even those clinics that do not advertise regular Saturday hours are willing to step up and accommodate your unique scheduling needs if suddenly things go south in the dental department. This hometown dental practice can do it all from general and comprehensive dental procedures to specialized services. They pride themselves on taking care of you and your family’s oral health needs and delivering customer satisfaction. Nothing can be more satisfying than knowing that a weekend dentist in Newport, News, Va is available to you in urgent care dental cases. This facility aims to make you feel comfortable and through the employment of the highest technological tools and procedures, get down to the root cause of your problem, rendering whatever advanced treatment is needed. One of the first things many people notice about you is your smile. Catherine Lynn DDS offers both family and cosmetic dentistry services in a home-like environment. Due to the busy schedule that many have, they even offer evening hours on Tuesdays and Wednesdays to allow for a more flexible schedule for getting an appointment. Most insurance plans are accepted and children as young as three years of age can be seen here. 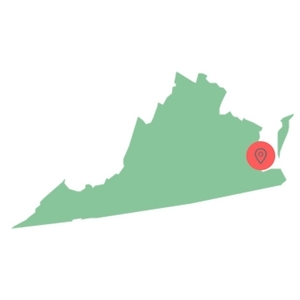 Before you arrive at your Newport News, Virginia emergency dentist visit, you will want to keep in mind that they are just your typical dentist office, with the ability to treat and schedule appointments just a little quicker. You will want to ensure you have gathered any necessary paperwork you may need such as dental or health records and your current insurance information to help the dentist and staff become more familiar with you. Having these items ahead of time will also help to expedite the process of your visit. If you have a scheduled appointment try to make sure you arrive at least 15 minutes before it begins so you have time to fill out any paperwork that may be required. Even though an emergency isn’t something we’re all prepared for, it’s a good idea to know how you will pay for your visit, should your form of dental insurance not be accepted. Similar to other medical appointments you will want to let the dentist and staff know if you have any allergies to medications. You don’t want to be surprised with an adverse reaction after you’ve been treated. If you have anxiety or fear about going to the dentist, don’t worry, just let the staff know so they can help prepare you and the room to ease your concerns during your visit. Below are several of the common reasons that you may choose to visit one of our emergency dentists. Any of these can cause your mouth a lot of pain and completely interrupt your day. Take a moment to read through them so you have an idea of what could be going on with your mouth, then give one of the dentists a call right away. 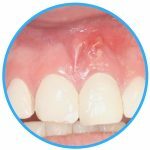 A dental abscess isn’t something that should be taken lightly. It is a severe infection of the dental pulp. This is known as the inner portion of your tooth, which contains all those delicate structures like blood vessels, connective tissue, and nerves. It’s important to see a Newport News emergency dentist right away when you have an abscess. They can work on a treatment plan that can help to save the tooth or provide you more information about other methods and procedures that might be best. A loose or lost crown can be painful because it leaves the tooth it was originally protecting exposed. A crown is placed on top of a damaged tooth, but sometimes when the decay becomes even worse, the crown no longer fits properly or falls off completely. If you lose the crown, make sure you place it in a safe location and immediately contact a Newport News emergency dentist to get an appointment. A loose crown requires the same procedure so that the dentist can readjust or replace the crown. 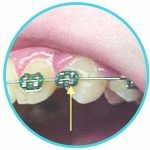 Broken and loose wires on your braces tend to make themselves known by poking you in the cheek or gums. This can cause irritation pain that is no fun at all. A temporary solution is to place some dental cement over the wire to keep it from causing pain. You will then want to contact a Newport News emergency dentist so you can be seen immediately to handle this common dental emergency . A dentist’s first priority is to ty to save a tooth if at all possible. They try every prevention method typically before recommending an emergency tooth extraction. So when the dentist recommends that you need a tooth extraction, it’s not a decision that was made lightly. Some tooth extractions are necessary when a tooth is too severely decayed that it cannot be fixed. Severe gum disease is another common reason why a tooth extraction or several teeth may need to be extracted. An emergency dentist in Newport News, Virginia will first give you the option of numbing the affected region with a numbing cream or local anesthesia to help make you more comfortable. After the procedure has been completed, you can expect to experience some pain and swelling for up to a week’s time. Additionally, the entire healing process can take up to six months until the bone is healed and restructured. 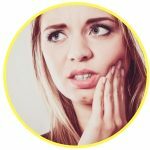 It can be a difficult decision on where to seek out treatment when you are experiencing a dental emergency. Many people do not know that there are available emergency dentists in Newport News, Virginia ready to help treat you at a moment’s notice. Because of this, they often times rush off to the nearest emergency room to get treatment. The problem with this thinking is that the emergency room, while equipped to handle most emergencies, really doesn’t specialize in the anatomy of the mouth and oral health like a dentist does. Dentists are much more qualified with the appropriate treatment options and tools necessary to ensure you are receiving the proper treatment right from the start. If however, you are someone who suffers from a chronic or immune system condition in addition to your dental emergency, going to a nearby emergency room may be most beneficial to you. This is because they can help to ensure all conditions are handled and treated appropriately. If you are ever unsure of where to go for treatment, you should contact your emergency dentist in Newport News first to find out what they think you should do. If however you are unable to get ahold of them during an emergency, please seek out treatment at your local hospital immediately. When an emergency comes up, don’t wait around for a more convenient time, instead seek treatment at an emergency dentist in Newport News, Virginia so that you have the best possible outcome in terms of healing and prognosis. When you prepare to see a new dentist you can check with the Virginia Dental Society to ensure any potential new dentists have the proper certifications. Who’s the best emergency 24 hour dentist in Arlington VA?